The omnibus film co-production project, Asian Three-Fold Mirror was jointly launched by the Japan Foundation Asia Center and the Tokyo International Film Festival (TIFF) in 2015. The second installment of the series Asian Three-Fold Mirror 2018: Journey led three notable Asian filmmakers, Degena Yun, Daishi Matsunaga and Edwin to make a colorful film portraying their different styles of "Journey". 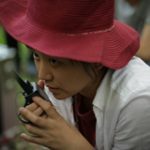 Surrounded by different film industries and film production conditions, what did they learn from working in a foreign country and with a foreign crew and cast? They each shared with the audience the back stage of the coproduction. Born in Tokyo, Daishi Matsunaga started his career as an actor and then directed music videos and commercials, as well as a TV series, Rescue Fire . 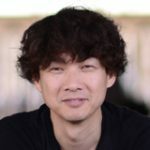 His widely acclaimed documentary, Pyuupiru , was featured in numerous international film festivals including Rotterdam, Jeonju and Paris Cinema in 2011. His first narrative film, Pieta in the Toilet (2015), was a smash hit. Vibration: THE YELLOW MONKEY , a documentary about legendary Japanese rock band The Yellow Monkey, was released in November 2017 and screened at the 22nd Busan International Film Festival and the 30th TIFF. His latest film, Hanalei Bay , released in Japan in October 2018, is based on a Haruki Murakami's short story. Born in Surabaya, Indonesia, Edwin obtained a diploma in Graphic Design from Petra University and studied film at the Jakarta Institute of Arts. 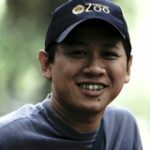 His first feature, Blind Pig Who Wants to Fly (2008) received the FIPRESCI Prize at the International Film Festival Rotterdam 2009; and his short film Kara, The Daughter of A Tree (2005), was the first Indonesian film to be shown at the Director's Fortnight in Cannes 2005. Postcards from the Zoo (2012) was nominated for a Golden Bear at the 2012 Berlinale. Following the smash hit of Posesif (2017) which won the Best Director Award at the Indonesian Film Festival 2017, his adaption of a national bestseller Aruna & Lidahnya was theatrically released in 2018. Ishizaka: The common theme of this omnibus film is "Journey". 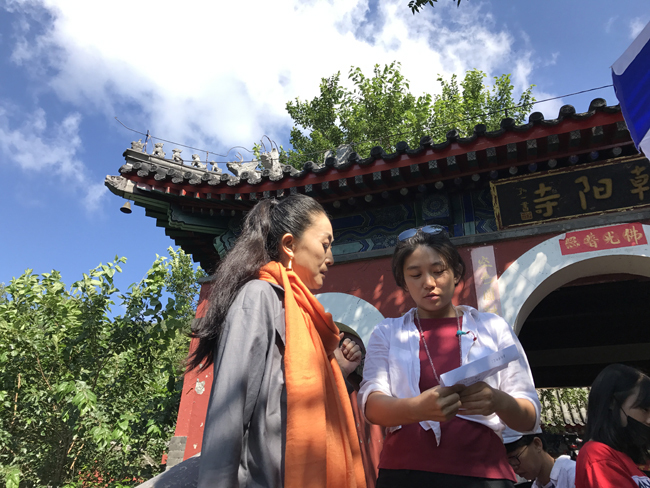 During planning, the three directors met each other several times, including Skype meetings, and decided to choose this theme since Degena Yun was already preparing her story of a journey toward the sea in China and this became the basis of this film. So, starting with Degena: your previous feature A Simple Goodbye depicts the struggle between a father and daughter while The Sea concerns a mother and daughter relationship, so it is more like a series. Is it fair to say that The Sea follows on from your earlier film? Degena: Yes, I actually wrote the script of The Sea at around the time when I was writing A Simple Goodbye but I hadn't been able to produce it. So, when our producer (Satoru) Iseki*1 visited me in China, I told him about my idea of making this short film. So yes, it is a kind of series, but we chose different actresses this time since I was acting in the previous film. *1　Executive Producer of Asian Three-Fold Mirror 2018: Journey . After participating in Nagisa Oshima's Merry Christmas, Mr. Lawrence (1983) and Akira Kurosawa's Ran (1985), he produced Naked Lunch (1991), Howards End (1992) and others. He has produced numerous international film co-productions, including Smoke (1995), The Emperor and The Assassin (1998), The World‘s Fastest Indian (2005) and A Battle of Wits (2006). Ishizaka: We can see a film set where you worked especially closely with the cinematographer and you also created good teamwork with both young and veteran cast members. If I remember correctly, for your previous film you created a team with your Beijing Film Academy colleagues, mainly women from Inner Mongolia, so this time you took on a new challenge. How did you create such wonderful team work? Degena: The previous film was a student work with a limited budget so I mainly used my classmates, including myself as the cast. Also, I was trying to get a non-professional cast in order to express a realistic style, but this time I chose professional actresses for the first time and they truly did a great job. 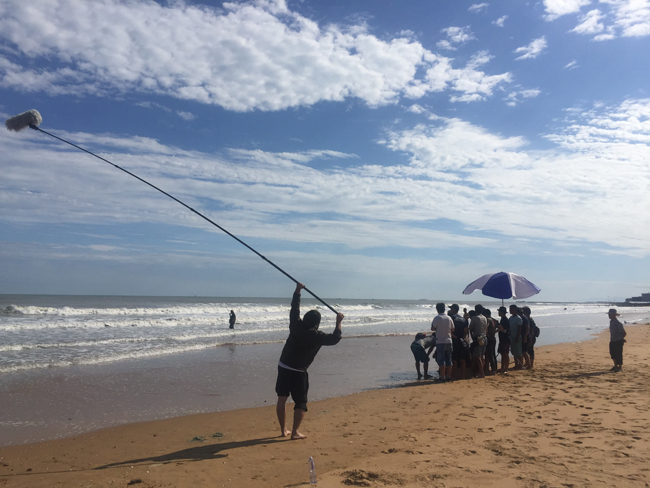 Ishizaka: You come from Inner Mongolia where you don't find any sea, and in this episode the mother and daughter head to the sea to scatter the ashes of the father. Is there any special reason for choosing the sea as your motif? Degena: Actually, we don't scatter our ashes into the sea, maybe because I was raised in an urban city. So, I depicted this journey in my imagination. But the characters are based on my experience. Also, we chose a location like Shandong which is the closest coast to Japan and that was my intention. Ishizaka: In this episode we see a number of scenes involving a car driving along the highway. Were you able to get shooting permission easily? Degena: Actually, it was risky. We found the first location on a highway which was not very busy, but then when we tried to use the car for another scene, we were not able to shoot. So, we had to find another location and actually wasted maybe three hours that day. Also, when thinking about short film budgets, they need to go through all the same processes as a feature film, such as post-production including booking a sound studio, so it's actually very expensive (in China). So, we had to think about the budget all the time. Ishizaka: Now I would like to ask Daishi and Edwin for their thoughts about Degena's episode. Matsunaga: First of all, I thought the actors and actresses in her film were very appealing and watchable. Since I saw her previous film, rather than just understanding this short film by itself, I felt that these two films had the same basis. But anyway, I enjoyed the relationship between the mother and daughter, and especially liked the way the story runs up toward the climax. Also, yesterday I had a chance to speak with Degena about the subtopic: pray or prayer. In my episode there are many Buddhists praying sincerely from early morning, while in her episode a mother tries to buy a prayer with money. So, there were connected details in our episodes, more than I expected and that was very interesting. Edwin: It was really good to start this omnibus film with Degena's episode and actually I personally was inspired by her script, which we read at the beginning of this project. It was amazing that the script was so clear I could easily imagine not only the feelings, but also clearly see the scenes and shots. I personally love the character of the mother who I can easily relate to myself. We can see this kind of mother not only in China, but in Indonesia too. So, it is a very universal portrayal of a family relationship and also as it is so contemporary and detailed, it makes this story quite universal in Asia. Poster and Trailer Unveiled for "Asian Three-Fold Mirror 2018: Journey"